MEET THE LATEST APPRENTICE TO OUR FLEET CLEANING TEAM. 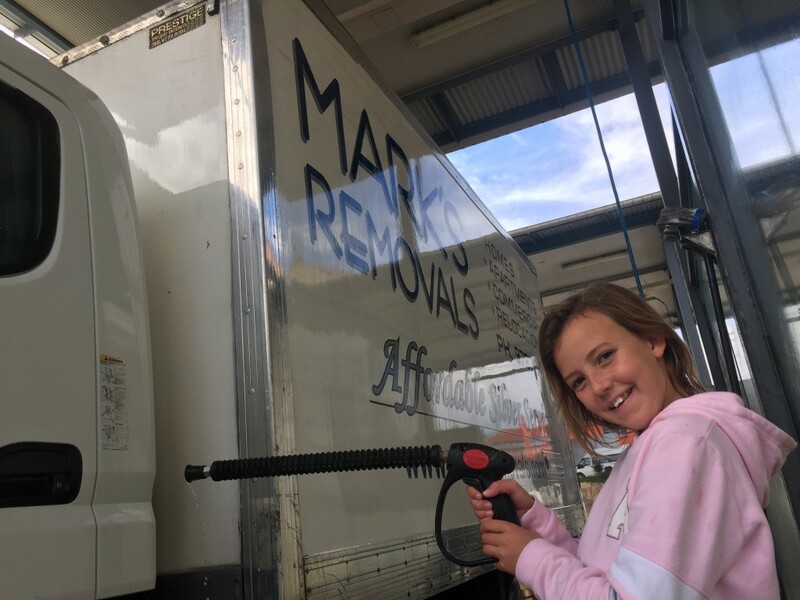 10 year old Amy Lee is just getting some experience at the moment but she is already developing a keen eye for detail making sure our fleet is worthy of meeting your removal needs. 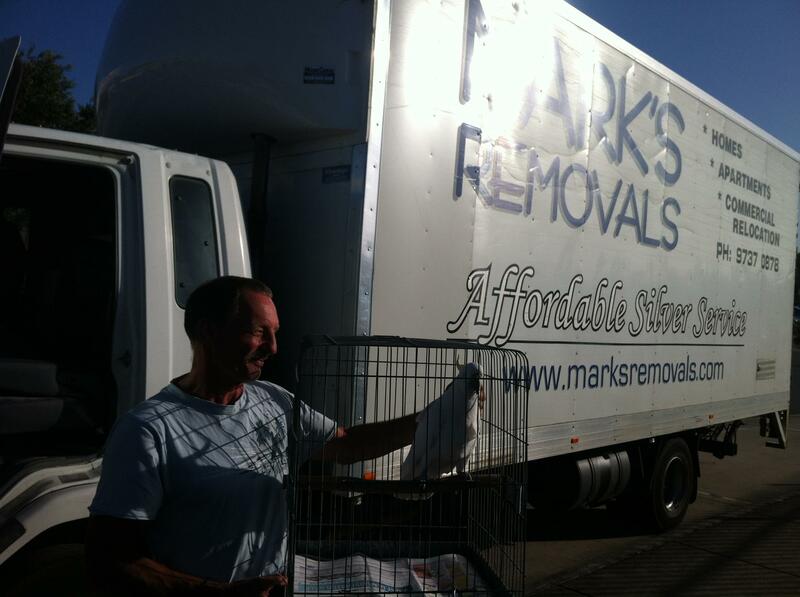 Marks Removals is a family business and we understand the needs of families especially during the stressful time of moving. Please contact us anytime if we can assist you! Our new UD Condor 16 tonner bosts a 48cubic metre pan and is equiped with features that make long haul a breeze. With a 2 tonne tail lift, side door for easy loading, automatic levelling, dual fuel tanks for long range, this vehicle is born for interstate running and has already seen Queensland, Victoria, and South Australia. Greg Hollingsworth (the driver) has reported it has made its first few trips with ease and enjoys the bluetooth, cruise control, armrest and many other features earlier trucks simply did not have. If your moving long distance then let us show you how easy it can be with our direct & exclusive moving packages and you can meet our UD Condor truck too. Great rates for Adelaide, Melbourne, Geelong, Gold Coast, Brisbane, Sunshine Coast trips and more. 48 cubic metre UD is ideal for larger moves especially interstate runs! 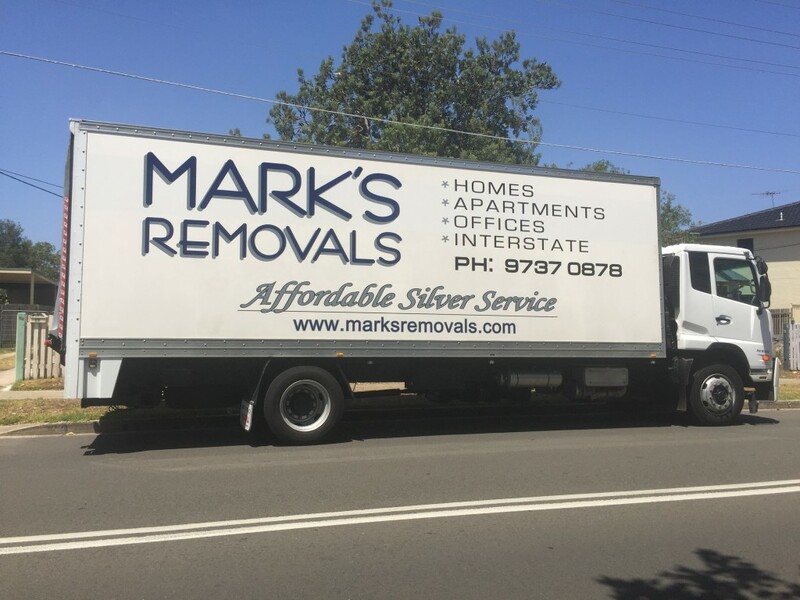 We are proud to announce the arrival of a new addition to our Sydney Removals fleet. “Pie Cart” (the Mitsubishi Canter 3.5) was delivered at 7.19am today at a gross weight 4495kgs, and a height of 310cms with no major complications during the birth. Staff report he is progressing well and drinking diesel without any issue’s. His breathing is excellent through the air intake system. “Pie Cart” will join his family of removal trucks based in the inner west, brother Iveco Daily, mother Isuzu NPR500, and of course his proud father Mitsubishi Fuso 6.5. We wish “Pie Cart” all the very best in his life as a specialized Sydney Removals truck being ideal for smaller removal jobs and those narrow inner city streets. Despite his small size he still carries an amazing 26 cubic metre load on his back. Marks Removals are very grateful he has arrived in our family. Customers are invited to meet “Pie Cart” whenever they may need a the service of a quality, removalist company, in Sydney. If you are moving from Sydney to Melbourne it might be worthwhile considering the weather. Recently we moved a client and when we loaded the removal truck in Sydney it was a boiling hot, 38 degree, blue sky day. During our interstate removal trip to Melbourne the removal team hit a cold front passing over Victoria and on arrival it was 14 degree’s, raining, and windy. On arrival to our valued customers “moving into house in Melbourne” we found a shivering gentleman in a singlet, shorts, & thongs. Luckily we had packed his clothes in a port-a-robe later on and with a touch of digging we managed to quickly reunite him with attire more suited to the inclement weather. A much warmer Sydney to Melbourne customer was very grateful to our interstate removals team for remembering where his warm clothes were. If you are moving interstate from Sydney to Adelaide we would like to remind you that there is a quarantine zone between Mildura and Adelaide to combat the spread of fruit flies. When relocating from Sydney to Adelaide it is important not to include ANY fruit or fruit plants in your inventory. Intertstate removalists are legally obliged to declare any plant life on board and this may be confiscated at the discretion of the checking officer. It is probably best to refer to the below website and inquire with them direct BEFORE including any plants or fruit products in your relocation from Sydney to Adelaide. Tappy the white cockatoo from Sydney was neither tame nor wild. The wild birds rejected him and he was lets say “a bit naughty” to live in captivity. (as reported by Louise Greig). He needed to be trained to live in the wild succesfully. A wild life rescue call was put out and it was answered by Geoff Wilkins in Gatton QLD who is a conservationist and wildlife rescue volunteer. The only problem left was to get Tappy to him. Sydney removalist company “Marks Removals” were honoured to give a little back and safley deliver Tappy to Geoff ensuring Tappy would live a long happy life. Greg Hollingsworth, the Sydney furniture removalist driver who drove Tappy to Queensland, reported that he was reluctant to pass him over to Geoff as he had become great mates with Tappy the cockatoo during the trip to Queensland. Until that point all involved believed Tappy was male. To the amazement of all involved Geoff reported that the day after arriving in Queensland Tappy had laid an egg. So good luck to you Tappy the FEMALE white cockatoo in your retraining introduction to your new family in Queensland.